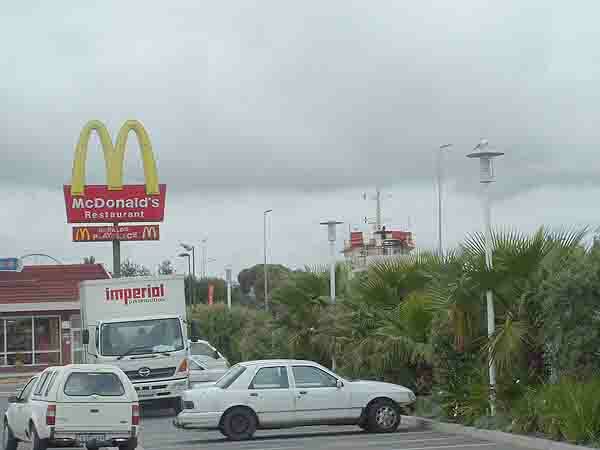 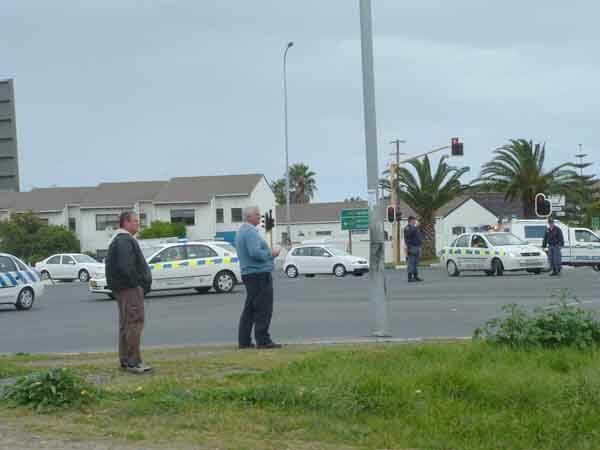 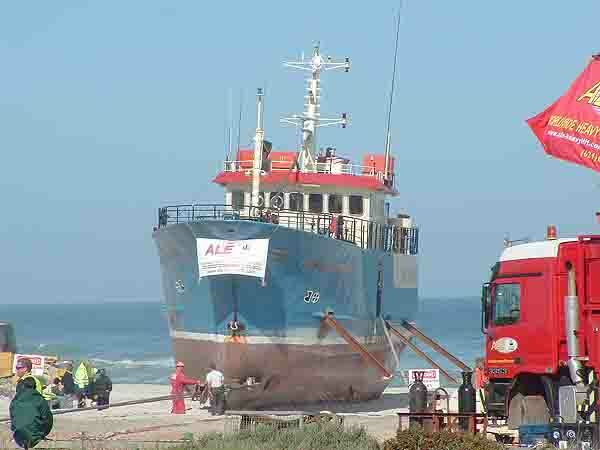 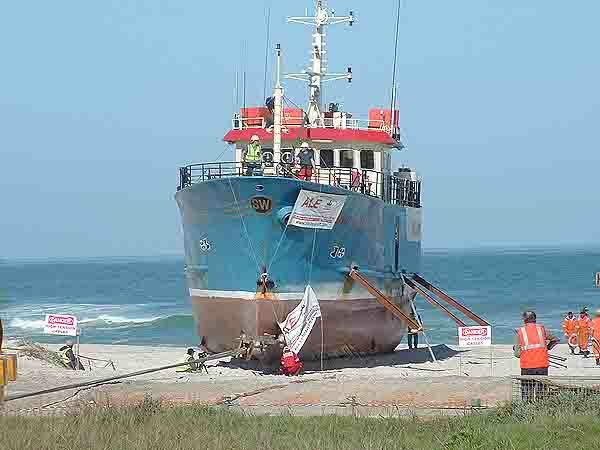 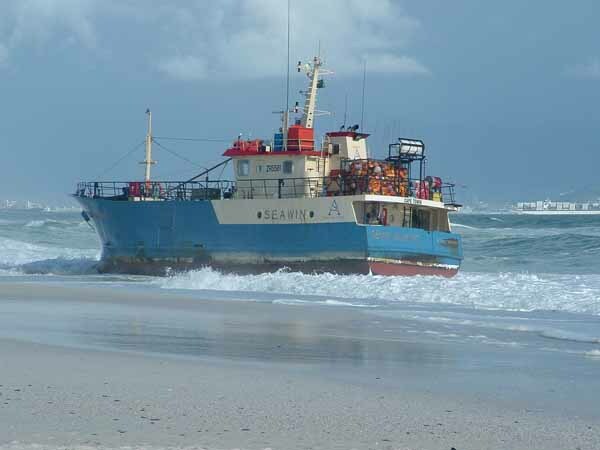 After another beating the Weskus 1 has turned over onto her other side.The sun appears to be setting on this ship? 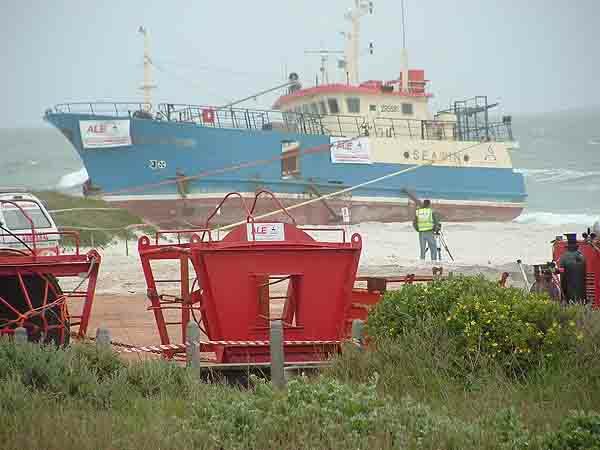 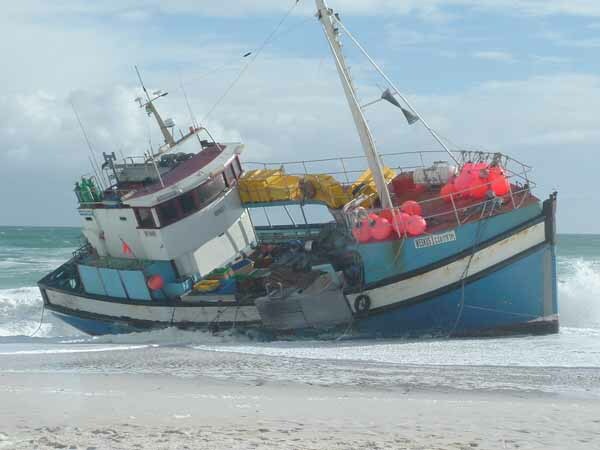 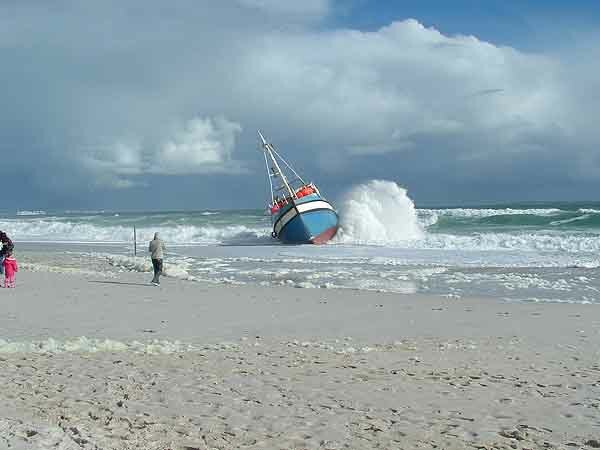 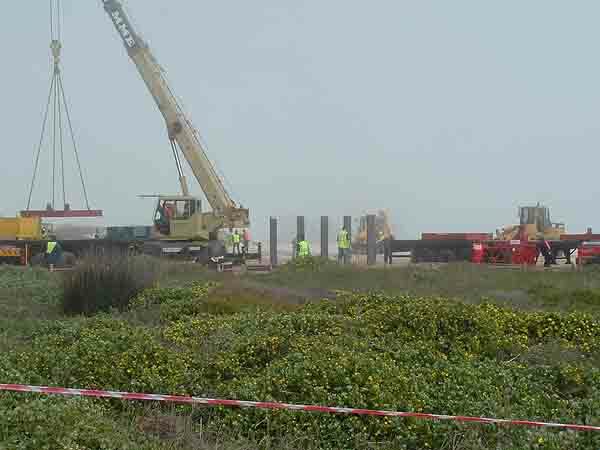 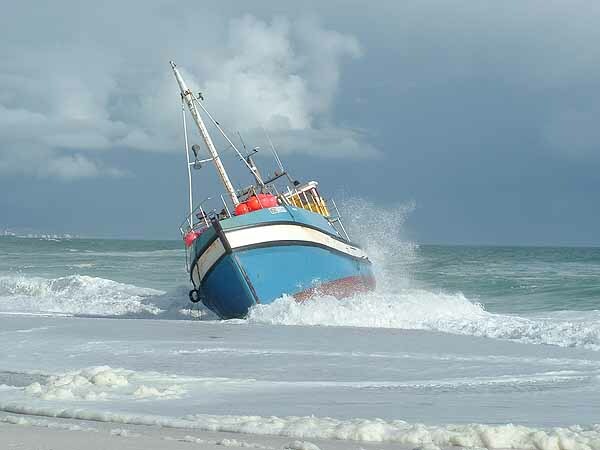 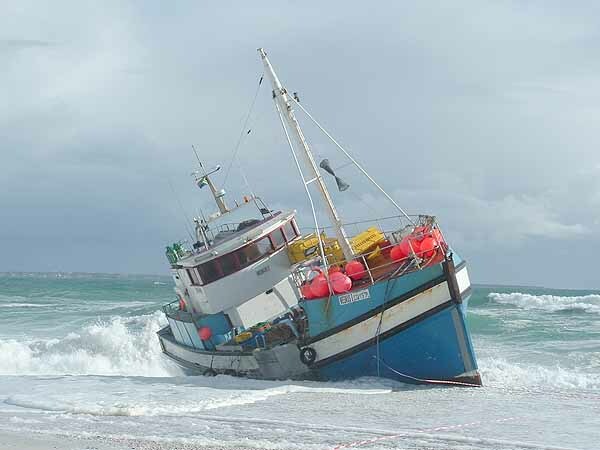 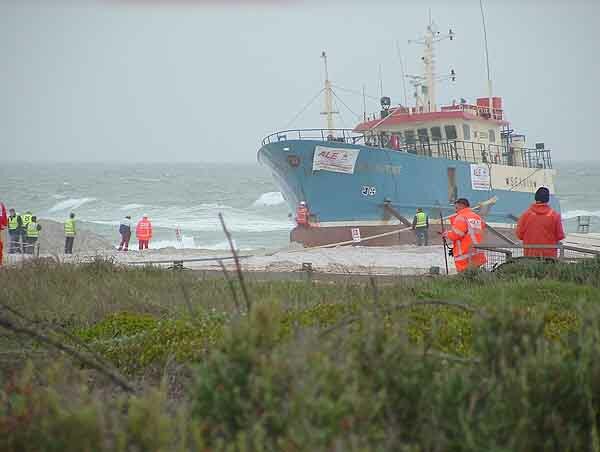 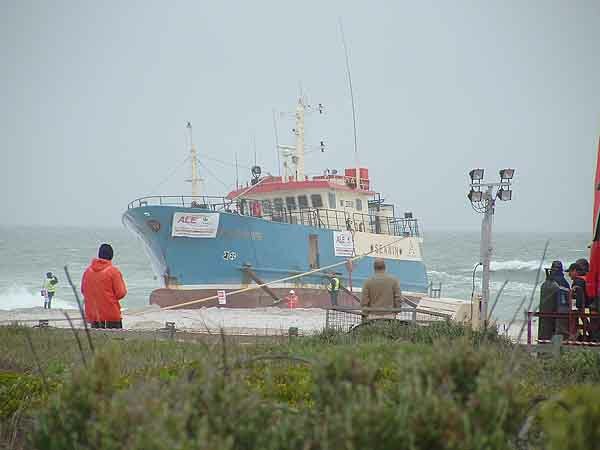 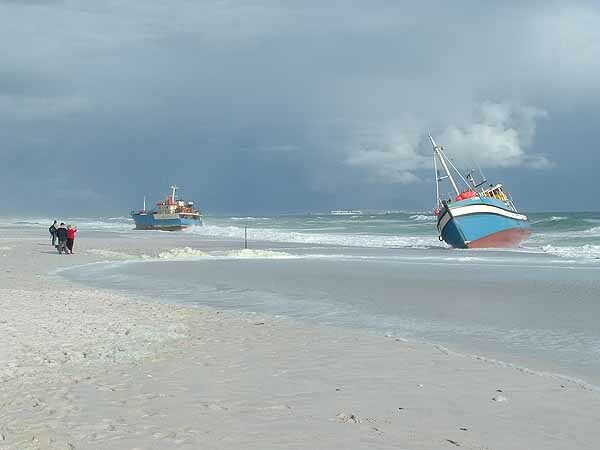 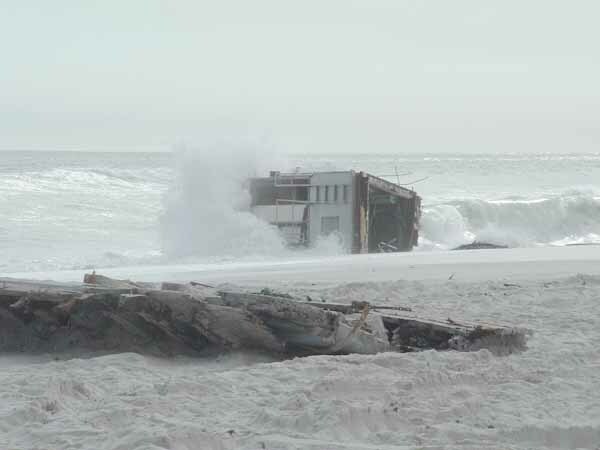 Another storm arrived and beat the Weskus 1 to smithereens All that is left of her are parts of her hull and the cabin in the waves. 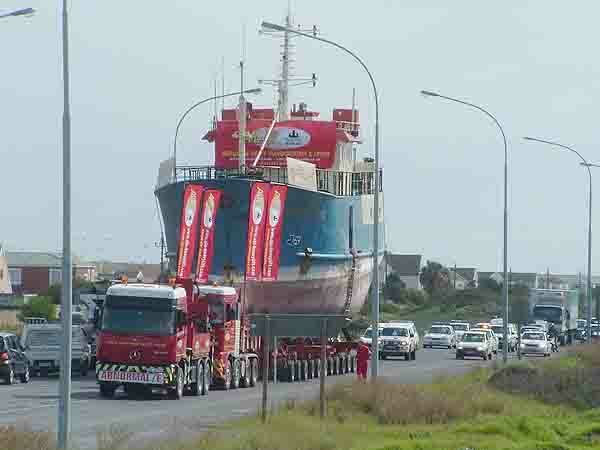 Finally on her way ! 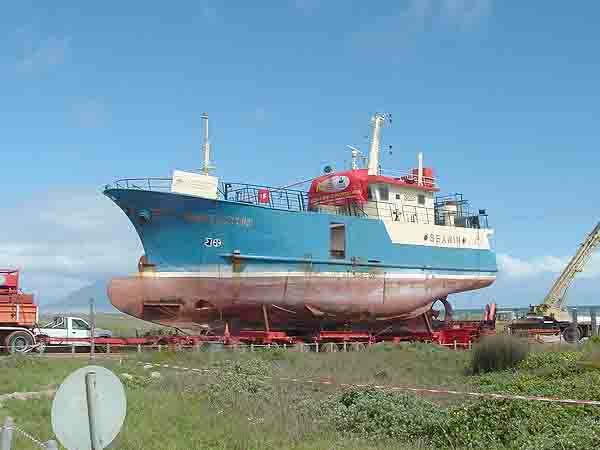 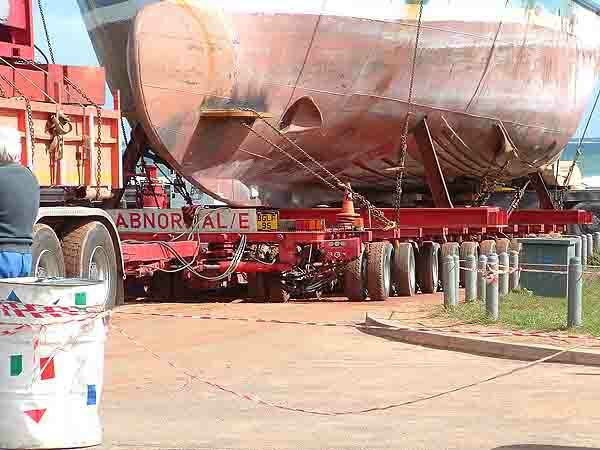 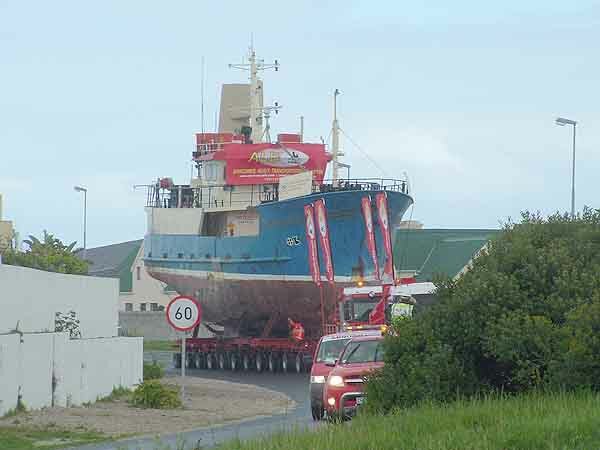 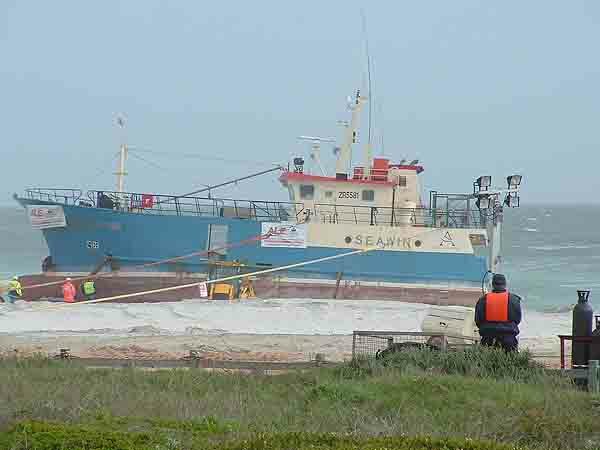 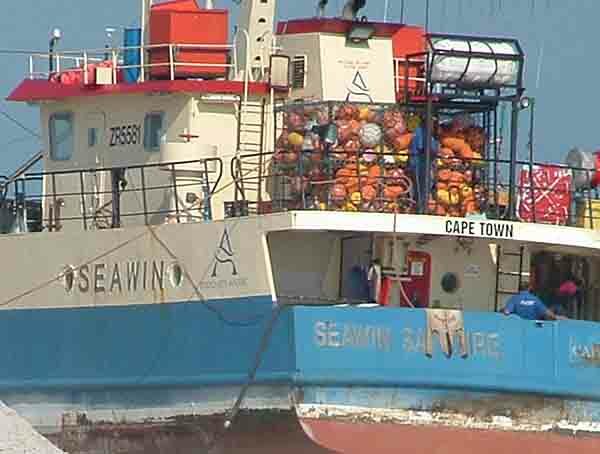 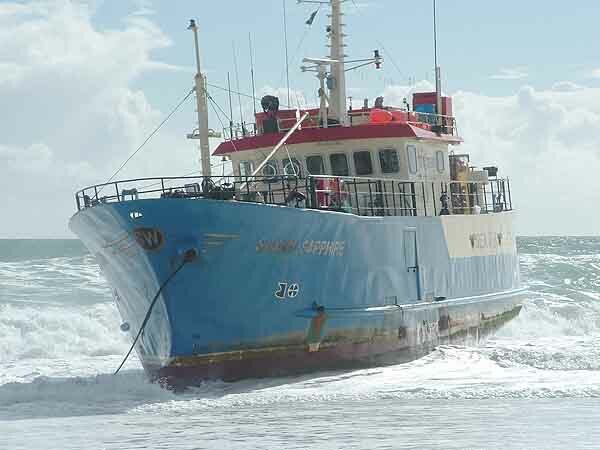 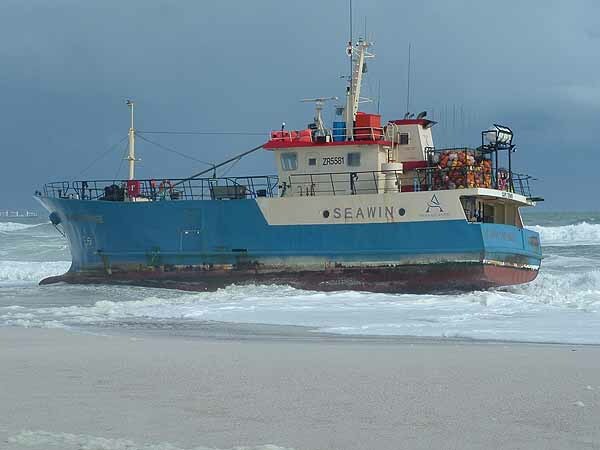 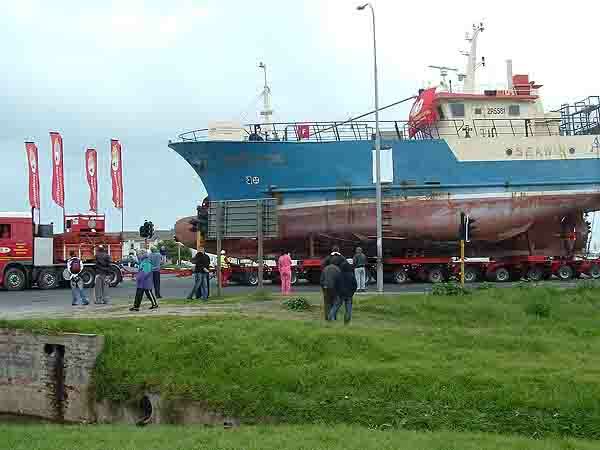 After spending nearly eight hours on the road the Seawin Sapphire completed her trip to the Table Bay harbour where she will be repaired and refloated over the next couple of months. 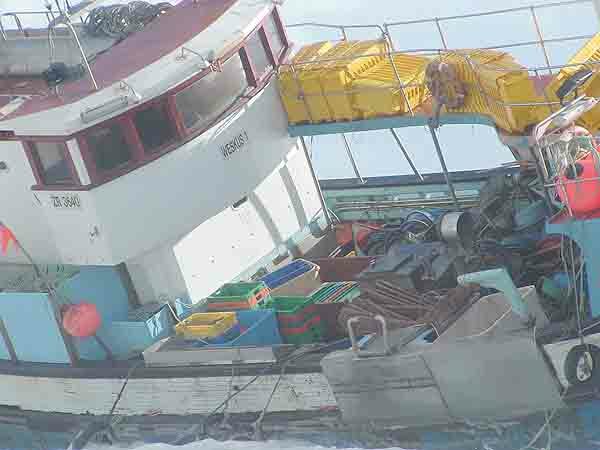 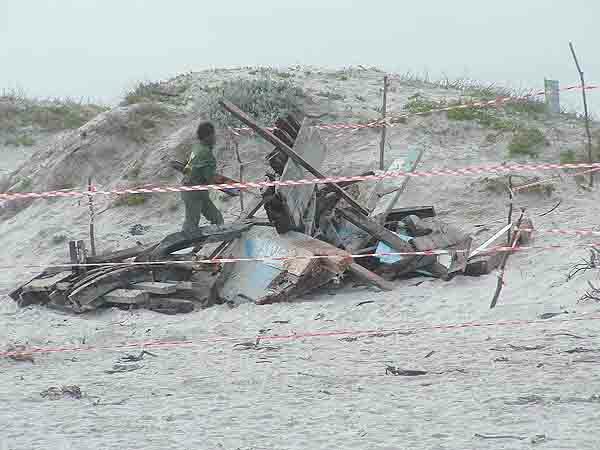 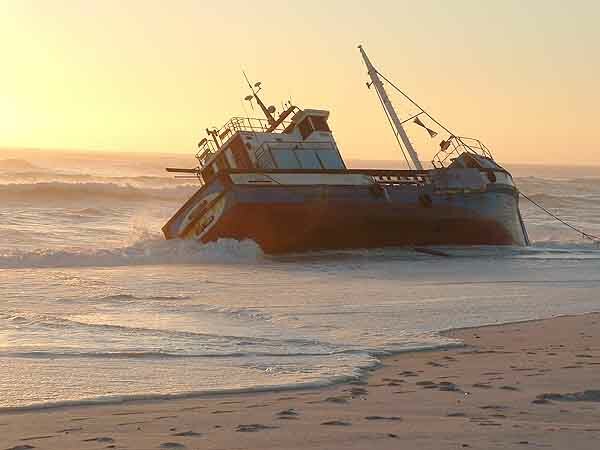 My congratulations to all involved in the salvage operation. 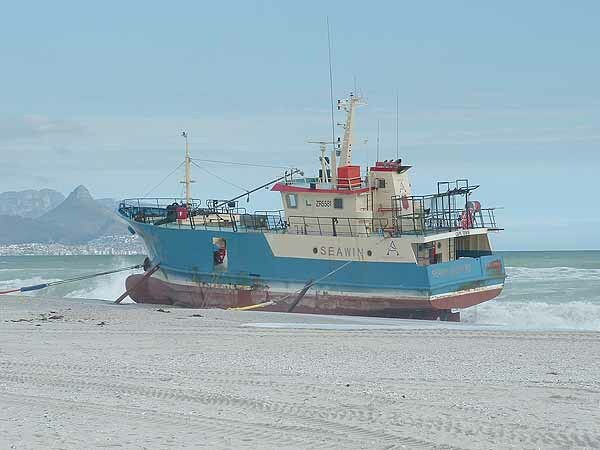 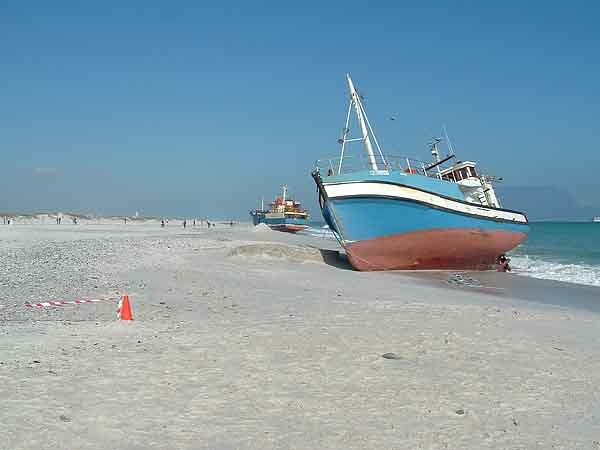 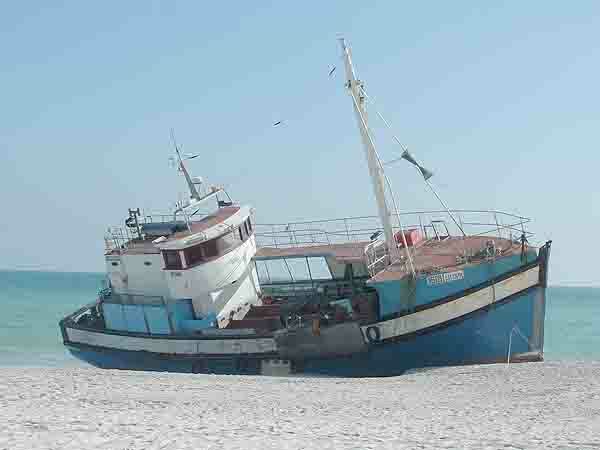 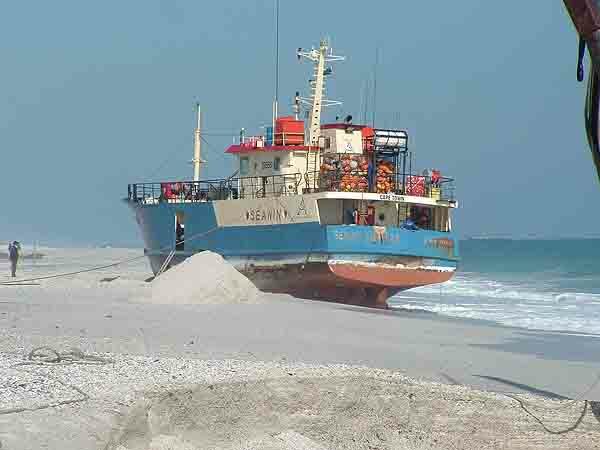 After nearly a month on the Table Bay coastline the beaches are as pristine as they were when the ships ran aground.